and I thought that I would share a few random things this morning. and Safeway several times in the past couple of weeks. Oh how I love garland. On the mantel. Framing the door, In the bedroom. Mixed with blue and white ticking, linen and a touch of red- it is talking to me big time. I will share the full bedroom decor. You know how you shop for gifts for someone special and end up finding favorite things that you put on your list too? It happens to me all the time. for others and for yourself. 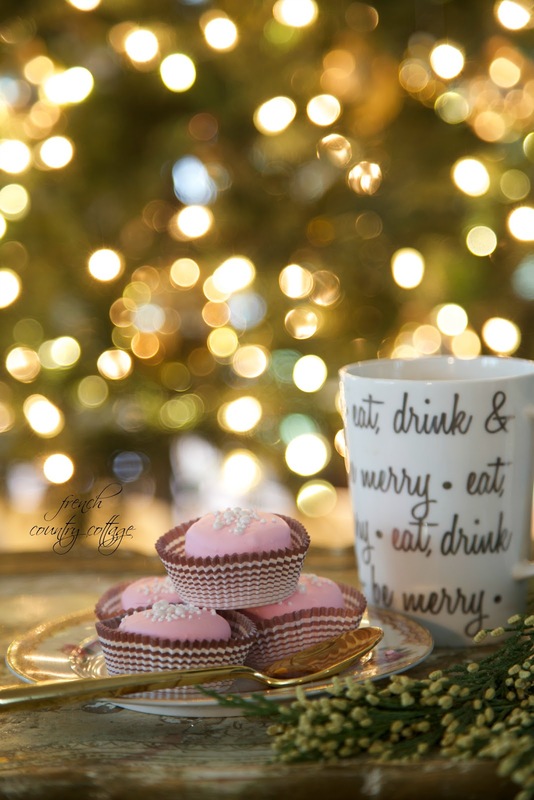 Ideas for gifts for a cozy evening. and of course a couple more Christmas decorating posts coming your way as well. 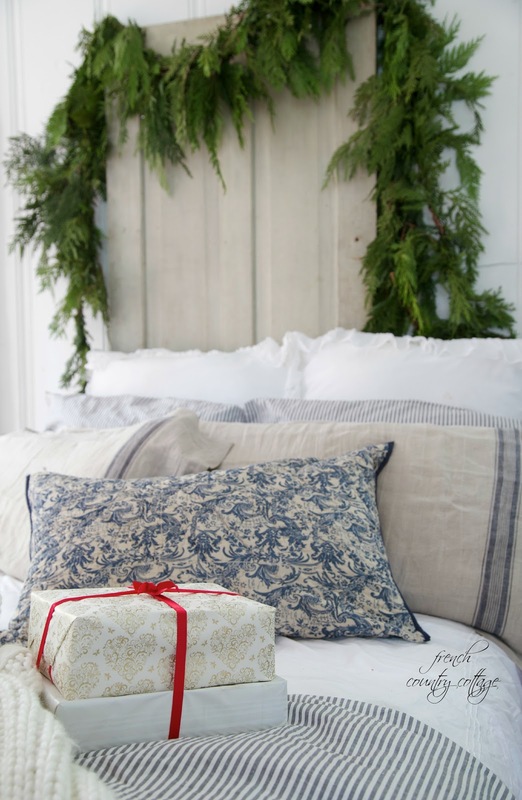 Those peonies are gorgeous and I just love the blue and white bedding. I just discovered your blog on instagram and enjoying it very much. Beautiful home! Thank you!! So glad you came over and said hello! Oh that is expensive! These were 5 for $12- much more reasonable. My table with white reindeer is set. Dinner party Monday evening. Thank you again for sharing your darling idea and for the endless inspiration you send my way, Courtney. 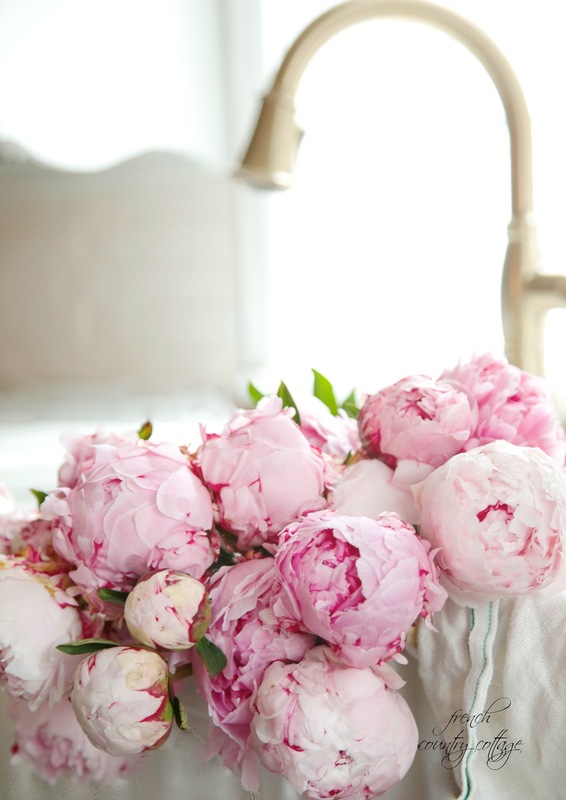 I adore peonies, also! I'll have to put these on my shopping list for the week! 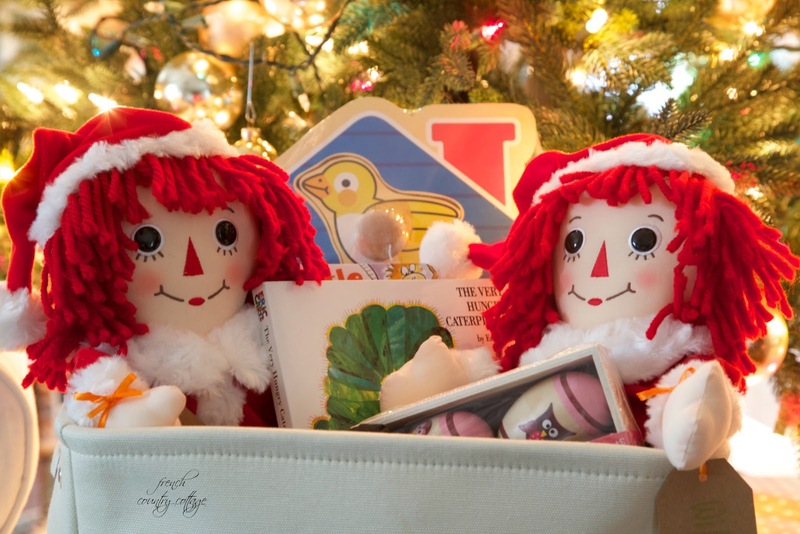 Those Raggedy Ann dolls are darling, my niece would love one. Delightful, thank you for sharing!! Peonies are one of my all time favorites! They pop up in our yard around June, so it's refreshing to see them here in December. Everything else looks just lovely too. Thanks for sharing.